On December 17th from 6:00 to 8:00, we'll be celebrating at Russell House Tavern in Harvard Square with our friends Privateer Rum. Your ticket gets you into the holiday party where you'll enjoy bites from Chef Michael Scelfo and a specialty cocktail featuring Privateer Rum. We're using the party as an excuse to raise money and gifts for The Home for Little Wanderers, which is exciting. Each year, The Home does a gigantic toy drive where they fill a gymnasium with gifts. They could always use more of all kinds of toys, but often teenagers are overlooked so we're going to use the party to collect gifts for teenagers. There's a ticket price for this event, but in order to get in, you ALSO have to bring a gift ($10 value) for a teenager we can donate to The Home. The gift can be anything you think a teenager will like, but the easier option might be a gift card. You can grab them at most grocery and drug stores, or anywhere really. In any case, this party's main goal is to collect as many gifts for teenagers as possible. All your gifts and part of the ticket sales will be going to this goal. Another way to help without even having to come to our stoopid party is by signing up for one of the wishlists. This ticket plus a donated gift of $10 is good for one entry to the Eat Boston Holiday Party. 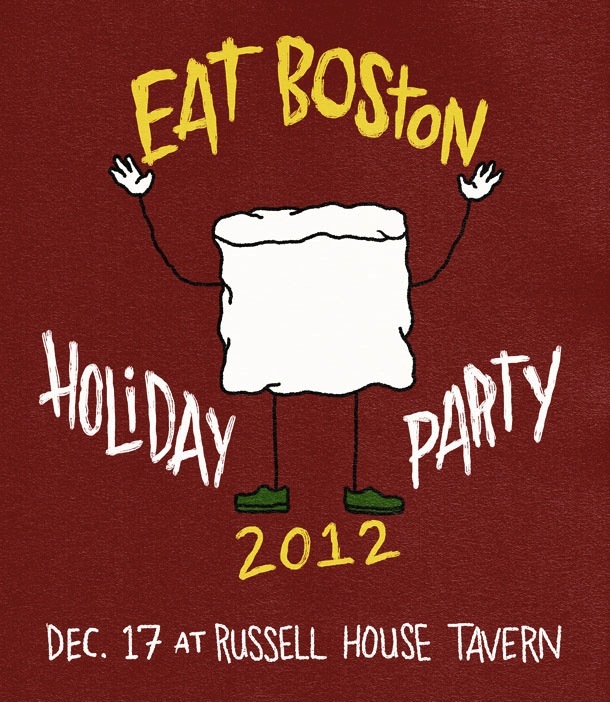 This ticket plus a donated gift of $10 is good for one entry to the Eat Boston Holiday Party. This ticket is exactly like a regular ticket, but it costs $5 more and you get to call yourself a baller.